Did you know that as many as 43% of personal computer users lose their valuable data every year? Yes, these figure released by PC World Magazine does highlight the importance of backing up your files. A decade ago, the options were limited and expensive. So, people would choose to backup only their most important files. However, now there are robust and economical options, like a 1TB hard disk, to create a backup of everything, including music, photographs and movies.. Despite this, merely 6% personal computer users actually have the habit of backing up their data on a regular basis. Remember that a disk crash is not uncommon and can visit you like an uninvited, unexpected guest. This is nothing short of a disaster. Imagine losing all your files in one go! If such horror stories have scared you enough, here are some of the most efficient ways to back- up your data and rest assured. A Network Attached Storage device is really a data storage server. NAS devices have gained popularity since 2010 as an effective and easy way of sharing files among multiple computers. Most of the other storage devices are restricted to being used for a specific personal computer by an individual. In case you wish to share files and other data stored on your computer, the NAS device is the best option. The device connects with your available wireless router, allowing multiple computers to easily access the data stored on it. It becomes a single accessible location for all the files and contents on connected computers. NAS devices are typically used by small and medium sized companies and have proved to be robust enough to ease access by multiple users, offering a reliable solution for your business. If you use multiple devices at home, like a PC and a laptop, you could use the NAS device as your personal home network, gaining access to all the contents stored in different devices. 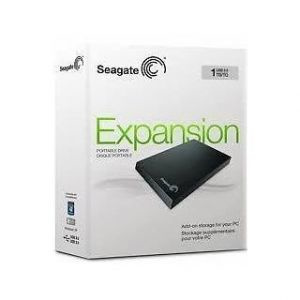 However, this is a fairly expensive option, especially compared to the 1TB hard disk option. Be it any cataclysmic event, storing your data on an off-site location ensures that it will remain intact, come what may. Over the past decade, Dropbox has gained immense popularity in this sphere. You could also opt for a cloud storage provider that makes all your data handy whenever and where ever you need it. There are various cloud services available, which implement new and innovative techniques, and most of them are very easy to use. Ensure that your online storage provider ships your backup through physical media, if it takes very long for a complete download. If you deal with large files on a daily basis, the cloud or online storage option makes sure that you have adequate Internet bandwidth for the efficient use of this option. While this medium for your data storage has been around for a long time, significant technological advancements has ensured its growing popularity. The main advantage of this option is its portability. External hard drives can be used as more than just as a dumpster for your files and documents. What makes it a very efficient option depends on how you use the extra space effectively. You obviously can move your media libraries, all you data and everything. However, you can also use this option for easy media sharing, portable gaming and even set it up as a scratch disc. 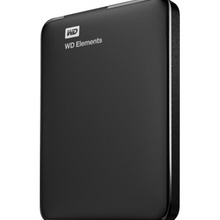 At times, when your personal computer or laptop runs out of space, this external drive shares the load on the internal hard drive of your device. A 1 TB hard disk is enough to offer you a great experience for data storage and sharing. You can find best quality of TB hard disk online.